It's Memorial Day Weekend, and their are so many festivities going on in NYC! One of my favorite things to do on Memorial Day Weekend is visit the BAM street festival. If you don't know what this festival is about, its all about celebrating culture through dance, good food, and music! 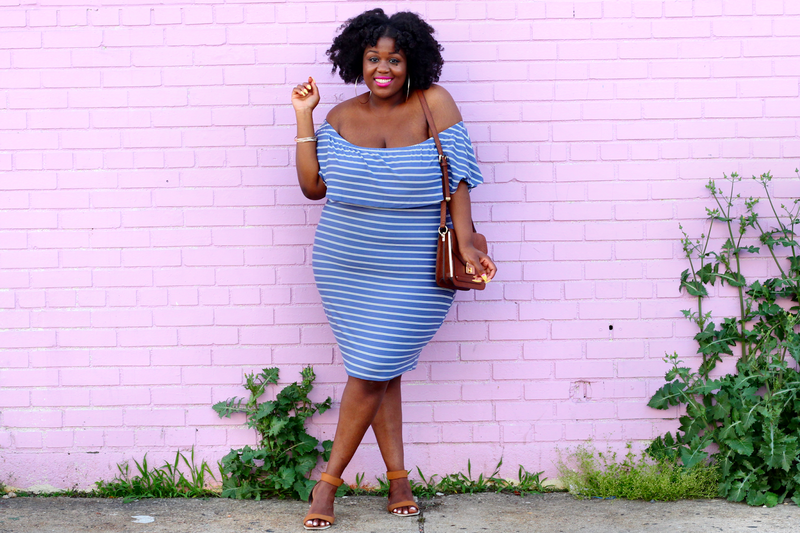 I wore this striped off the shoulder bodycon dress from Charlotte Russe. I got this dress in a size 3x, but I could've definitely sized down a little because whenever I wear a bodycon dress I like it tight! I am definitely weaning off of heels, so I'll be wearing a lot of cute comfortable flats and sandals. However, you can totally rock this dress with a pair of heeled sandals, tennis shoes, or wedges! It looks so beautiful but your shoes are not so beautiful. From your brilliant smile, full beautiful hair, to your toes, you look FABULOUS. 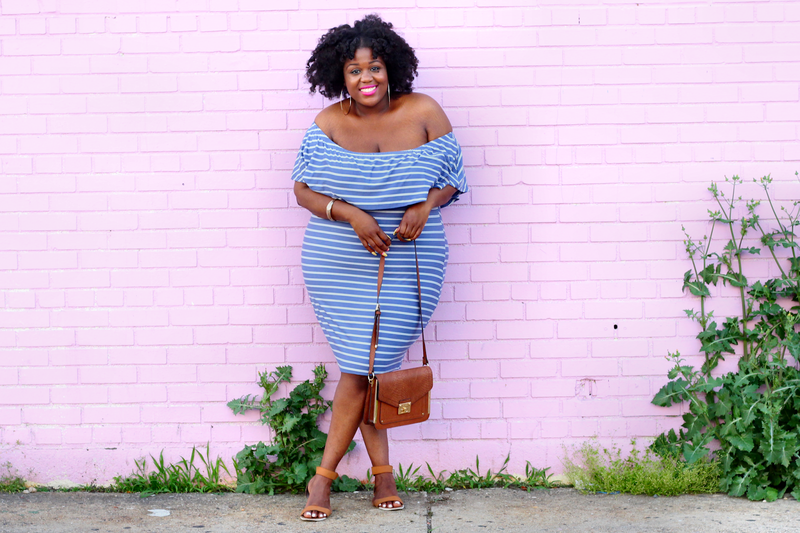 The dress compliments you so much (or vice versa.) 😊 And I love how you paired the tan shoes with the blue. Very well thought out. Makes me want to wear mine 2morrow! Another GREAT blog.